Your support strengthens our passion! This time you are the protagonists of our blog! KITO is really thankful to all its supporters, followers and visitors! Thanks to you we reached incredible numbers and we want to celebrate this with you! 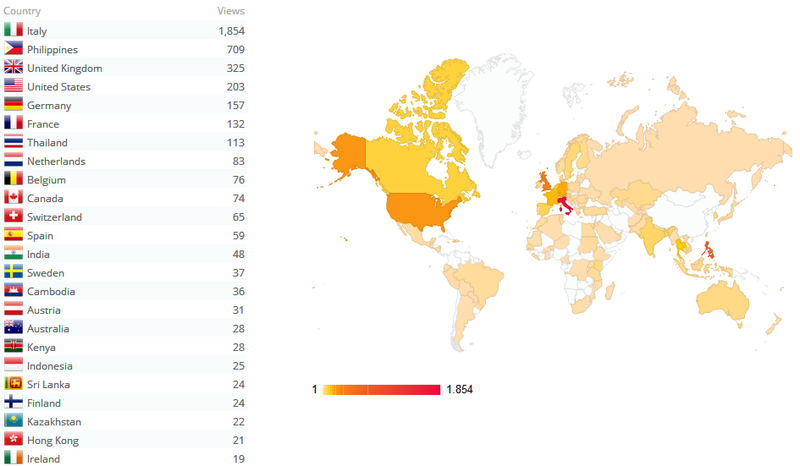 on Monday our blog had more than 1200 visits…in just one day!!! What’s more is that our followers come from different parts and countries of the world as you can see from our statistics map! Moreover, we reached 350 “likes” on Facebook in these days! And these amazing numbers are simply the consequence of your “fidelity”! We are very thankful and hope you will all continue to support us!! !